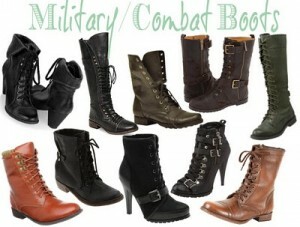 Combat boots are in style in the celebrity world [Check out this article for more information]. But age makes no difference. 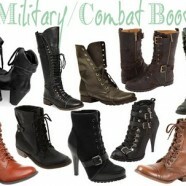 Anyone can don combat boots to make a fashion statement. 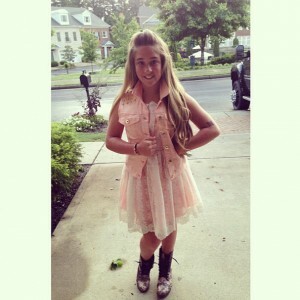 Even as young as elementary and middle school, combat boots are accepted as fashionable. Ariana Zolciak, the daughter of Kim Zolciak (formerly Real Housewives of Atlanta and currently Don’t Be Tardy), graduated from elementary school wearing combat boots. Her outfit was highly acclaimed among fashion experts and is considered “adorbz” (adorable). Next time your child begs you to buy a pair of combat boots and you think it is “uncool”, think again, combat boots are taking the fashion world by storm.